From the past few weeks, we have been continuously bringing you detailed updates about Maruthi’s film with Venkatesh. 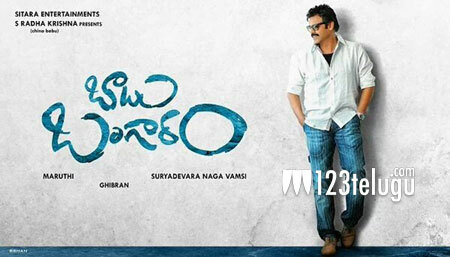 Titled Babu Bangaram, this film is fast completing its shoot. Latest update reveals that the makers have decided to release the film in the second week of April. Nayanthara is cast as the female lead in this film which is touted to be a hilarious family entertainer. Keep watching this space for more interesting updates on this project.